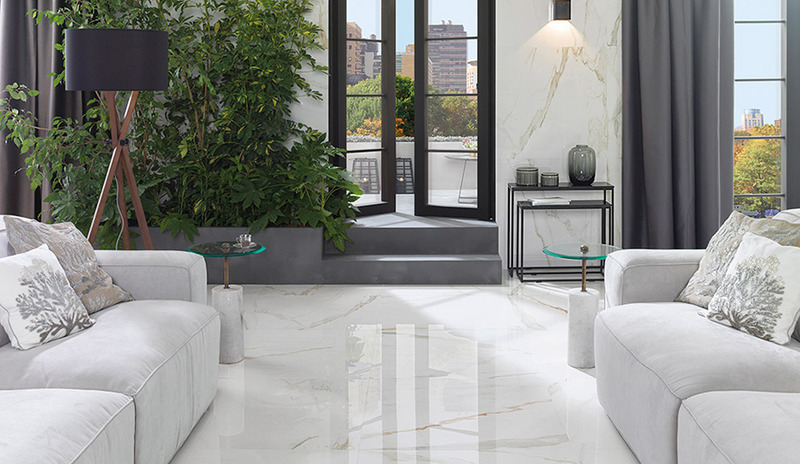 Porcelain flooring makes a lasting impression as it transforms a space, instantly creates a first impression, and adds dimensionality and elegance to a room. Flooring is the foundation of every home design and porcelain flooring flawlessly elevates a home’s intrinsic style yet still allows for furnishings and accessories to shine. 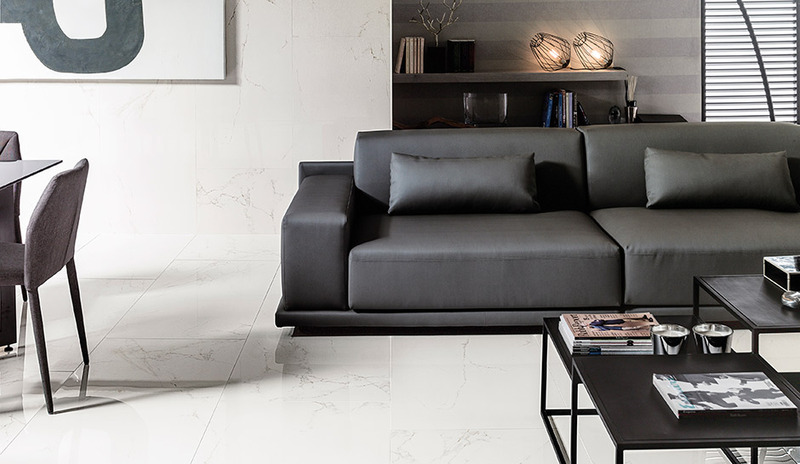 Though the function of a room influences the flooring chosen, every room benefits from porcelain tiles. Porcelain tiles are known for their durability, ease of maintenance and resistance to moisture, hence their ability to be used everywhere. 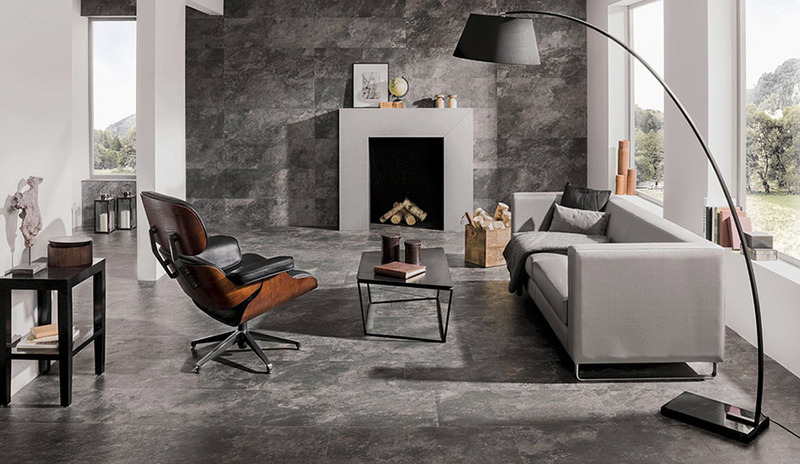 Inspiring materials, colors, styles and texture options solve every design dilemma and regardless of the location or size of a room, porcelain flooring creates emotion and adds character to a space. Ceramic floor tile collections offer a wide range of possibilities. 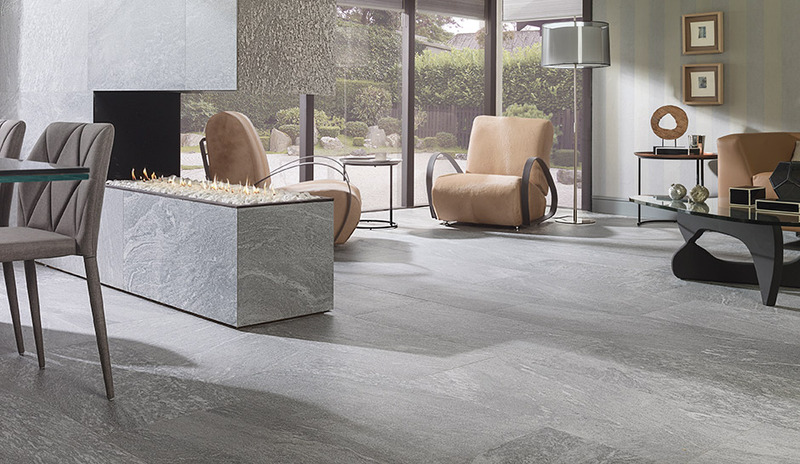 River brings the outdoors inside with its extraordinary stone tiles. Neutral tones and textures accommodate colorful décor easily while colorful flooring can create light, warmth and comfort while adding a touch of class. Texture and color combine in the Vintage Natural-B and Antique Silver creates an old-time feel with its use of classic patterns. 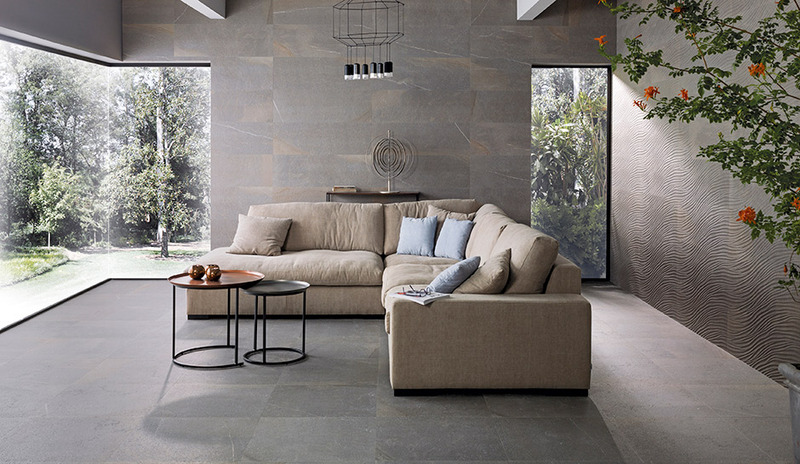 Concrete, fabric surfaces and terracotta are also available in the porcelain floor tile collections. Avenue Grey Nature is excellent high-impact flooring ideal for an entryway or heavily-used area. Also, consider that lighter flooring makes a room feel larger while dark flooring can make it feel cozy and warm. 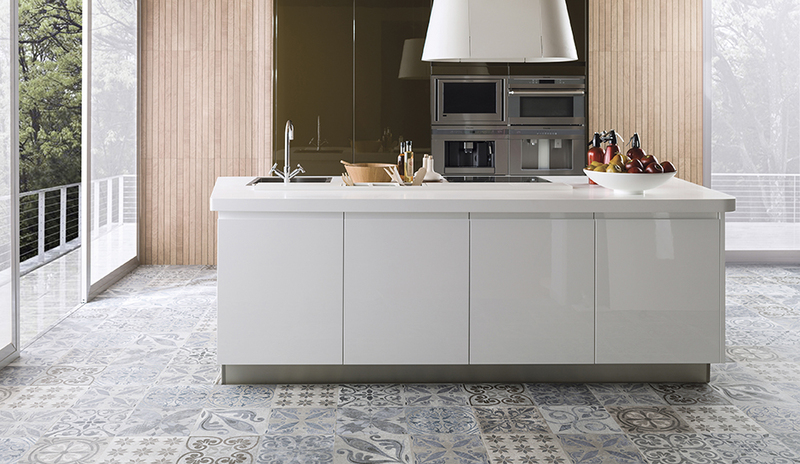 Distinctive tile patterns are the perfect floor choice for showcasing a space with high-end furnishings, art or accessories. The timelessness of the Mirage tiles are perfect for a guestroom, office or formal dining room. Wide tiles are perfect in a powder room as they create balance and beauty without having excessive seams in the floor. 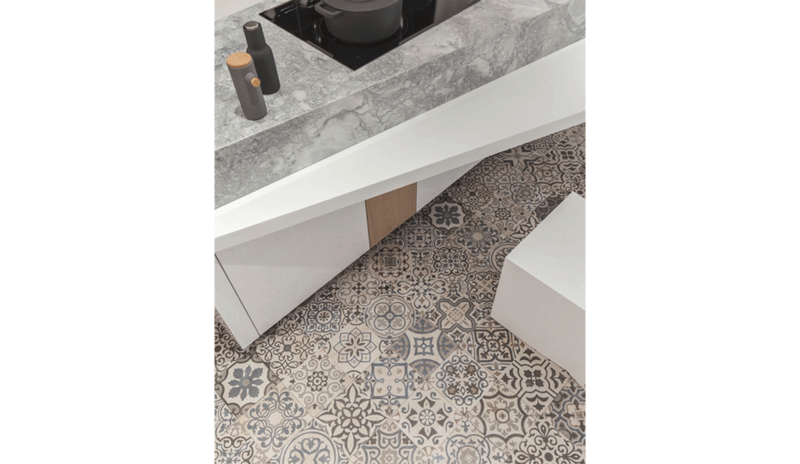 Versatile tiles like Rodano Caliza can be used for most traffic patterns and are the ideal way to bring cohesiveness to a home. 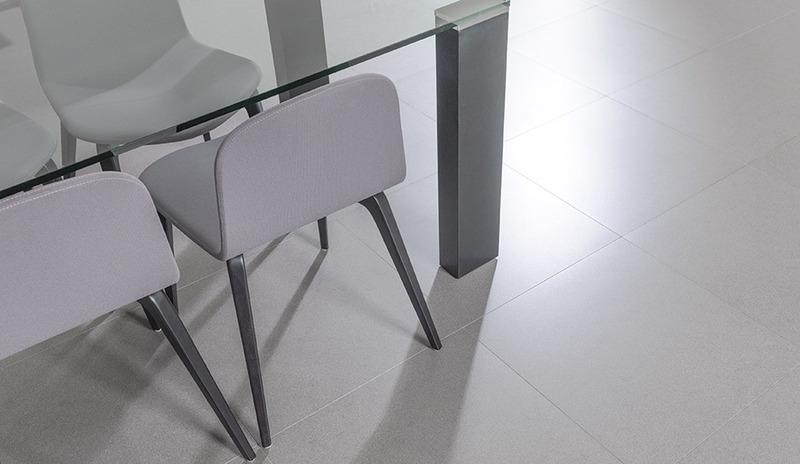 Blending porcelain flooring with complementary wall tiles adds depth and texture to small areas as the look of the floor continues up the wall. 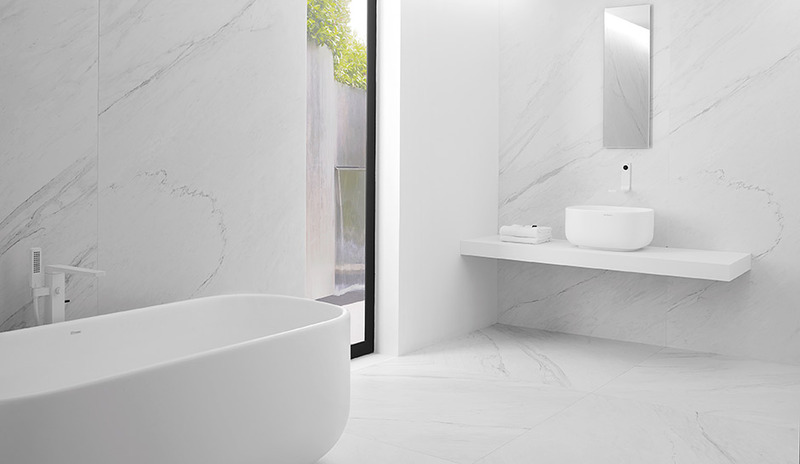 Lush White Nature is an excellent example of a multi-use wall and floor tile with its elegant marble-look with fine veins running through it. Calacata Gold is also an exquisite wall and floor tile that mimics the look of marble and has lovely cream and gold streaks. Dayton is also a combination wall and floor tile with its lovely white veining and golden glints. 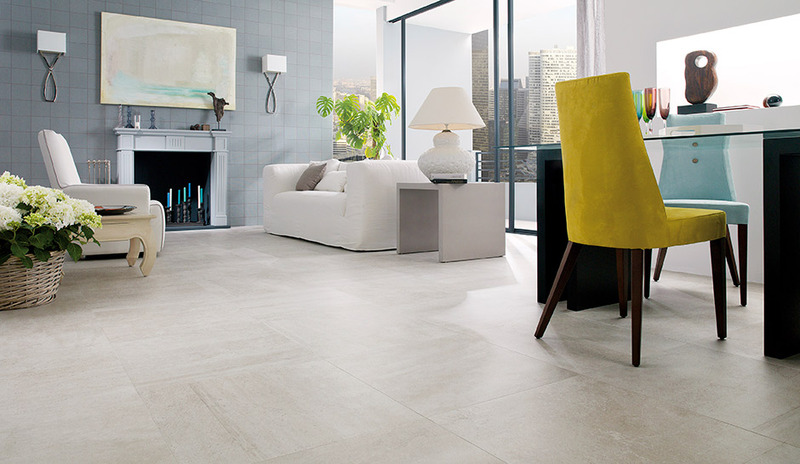 Porcelain flooring is a foolproof way to add long-lasting comfort and beauty to a home. It offers low-maintenance, beauty, sustainability and economy, along with warmth and comfort, to the life of a home.